Since Filtration Concepts, Inc. is a full line filter distributor, we are also able to supply items such as carbon, potassium permanganate (the purple stuff), liquid, hydraulic, and compressed air filters. Additionally, we distribute room air cleaners, belts, and sheaves (pulleys). 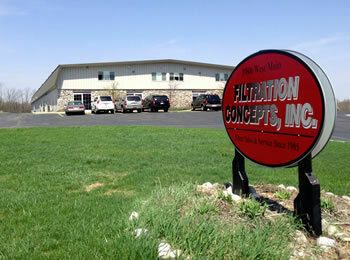 © Copyright Filtration Concepts, Inc. All Rights Reserved. Website by My Discount Websites.